I need to...ensure healthcare organizations balance privacy and security requirements with IT performance. Every year is “the year of the healthcare breach". Find out how our clients are addressing the top 5 healthcare IT challenges. See how Vail Medical Center did it. IT teams have one of the hardest jobs in hospitals and healthcare institutions today. Teams need to ensure that clinicians have access to the right applications and records when they need it while protecting patient privacy. They must optimize IT operations to deliver the best value for the organization, support improvements in patient care, and ensure compliance with regulations. Protecting against outside cyber threats is a necessity as online criminals target healthcare organizations more and more. IT teams must protect systems, users, and patient records from aggressive hackers. Healthcare IT departments need to deliver exceptional and timely service. The challenge is high with rising clinician and patient expectations, regulatory mandates, and external security threats. The good news? Ivanti can help meet these challenges efficiently, effectively and economically. IT teams are expected to minimize costs while delivering services that are reliable and high performing. The device landscape for IT is complex. Devices need to be securely connected and have the latest applications, access controls, and tools. Reduce life threatening consequences when clinical applications are not highly available. Doctors time with patients is tight. Patients get more attention and better care when the right records and applications are immediately available. Non-compliance leads to significant penalties. Adherence to standard policies and processes are a must to ensure ongoing compliance. Plus, compliance with license entitlements controls costs and business risk. Everyone’s blood pressure goes up if clinicians waste time with long logon and application access times, or delays in accessing needed records. Aging, unpatched software and the increased use of user-targeted attacks make the healthcare industry vulnerable. Organizations must protect the privacy and confidentiality of patient records, allowing access and sharing to only authorized staff or clinicians. Ivanti offers a comprehensive portfolio of solutions to improve IT performance, security, and compliance across your environment. Ivanti solutions meet your organization’s specific needs, enabling maximum benefit with minimal disruption for your clinicians, caregivers and patients. Allow clinicians to personalize their workspaces to improve productivity. Centrally manage, configure, and deploy Windows, Mac, iOS and Android endpoints on and off the network with greater efficiency and less disruption. Protect against even sophisticated threats with solutions ranging from comprehensive patch management, application and device control, privilege and access management. Deploy robust security management for a complete defense-in-depth framework. Automate service delivery to improve IT service desk support. Improve efficiency with workflow automation, self-service and voice automation. Optimize your critical IT assets across their entire lifecycle to reduce financial risk and gain the most from your IT investments. Ivanti supports healthcare’s core mission. IT needs a sustained focus on excellence to be more agile, productive, and cost effective. Healthcare organizations rely on Ivanti solutions to follow best practices and standards, secure the IT environment, and align IT to the delivery of excellent patient care. Reduce the risk of out-of-compliance fines when making changes and updates to your Electronic Health Records (EHR) systems. Use a comprehensive Change and Release processes to manage the complete release lifecycle. Increase visibility to maximize the performance and value of your IT assets. 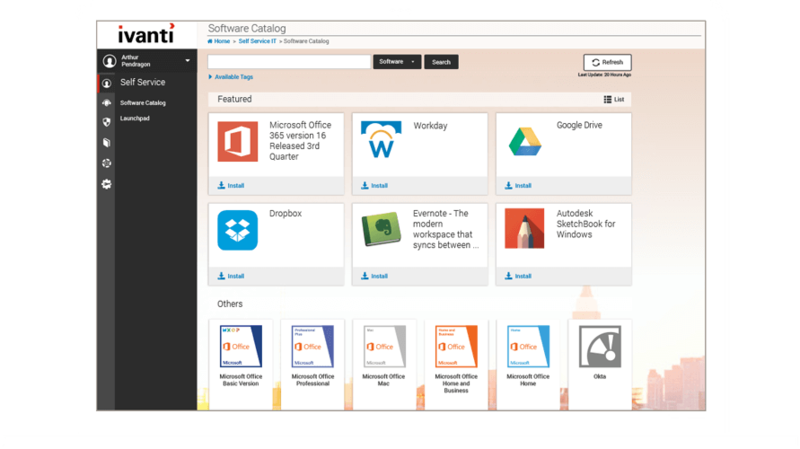 Reclaim unused software, meet compliance requirements, and save time and budget with a centralized view of your assets. Automatically route clinicians experiencing IT issues for immediate attention so they get back to their patients. 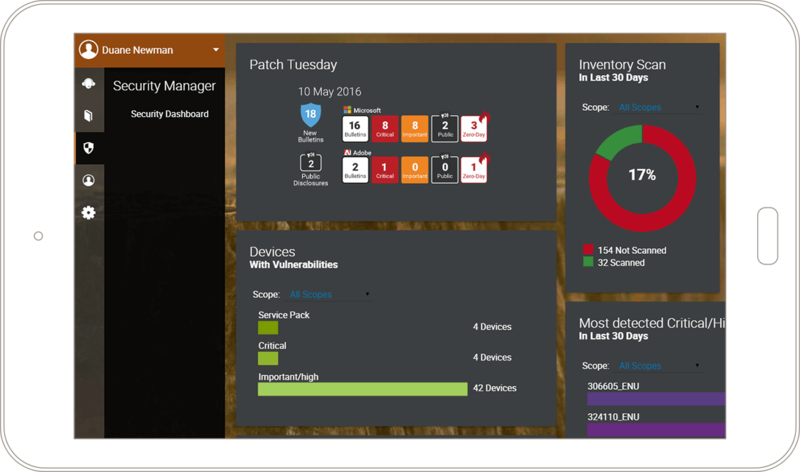 Isolate infected devices and take corrective actions quickly to stop malware infections. Protect the IT landscape and patient records with automated discovery, patch management, application and device control, and other solutions. Deliver personalized workspaces to every clinician, no matter what devices they use. Drastically cut logon and application access times so clinicians spend more time with more patients without compromising security. Protect and improve your IT environment with Ivanti to optimize performance and security, while reducing operational and infrastructure costs.